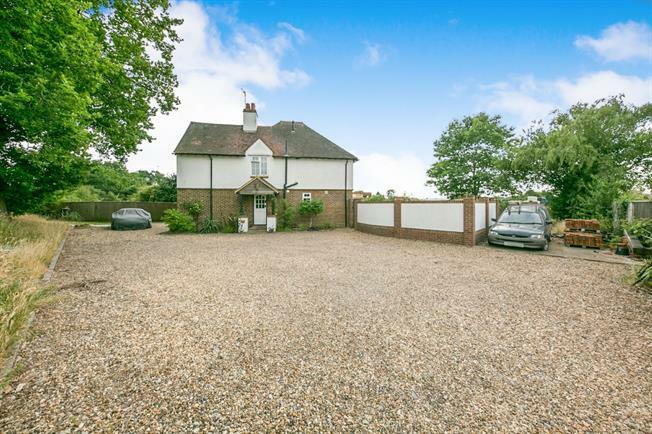 3 Bedroom Semi Detached House For Sale in Woking for Asking Price £749,950. This beautiful and charming family home's living room features a wonderful open fireplace, there is a separate double aspect study which features another open fireplace. The country-style kitchen-diner is of an excellent size. Double doors open out to the patio. Upstairs are three sizeable bedrooms, en-suite and family bathroom. Outside, the peaceful rear garden is mostly laid to lawn with a paved patio area ideal for entertaining. Private and well enclosed, it features a number of specimen shrubs, mature trees and enjoys stunning uninterrupted views beyond. The present owners have purchased an additional parcel of land to the rear, accessed via a five bar gate it is a true asset to the property. A gravel driveway offers considerable parking for a number of vehicles.